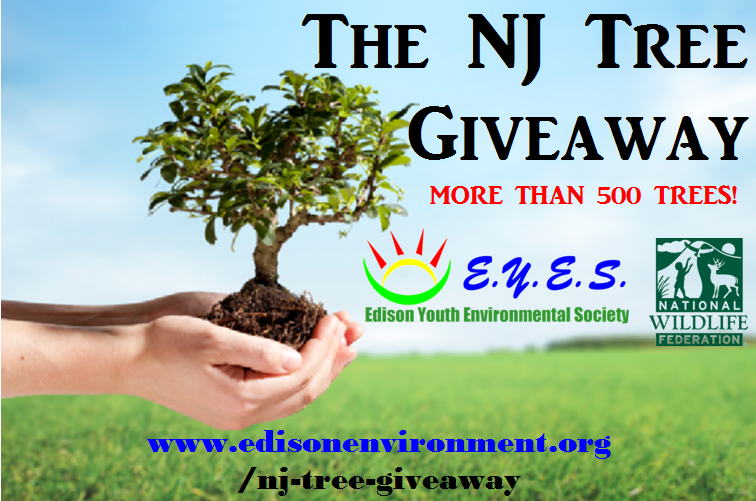 The Edison Youth Environmental Society, in partnership with the National Wildlife Federation is giving away 500 young trees this April to New Jersey residents! Individuals can get up to 3 trees and eligible groups, non-profits and schools can get up to 50! Learn more about when and how to get your tree at the NJ Tree Giveaway page.